When I found out that I needed to go to Sydney for a video project the very first thing I did was to find out if I needed a travel visa. The answer was yes, so I’m glad that I did that first. 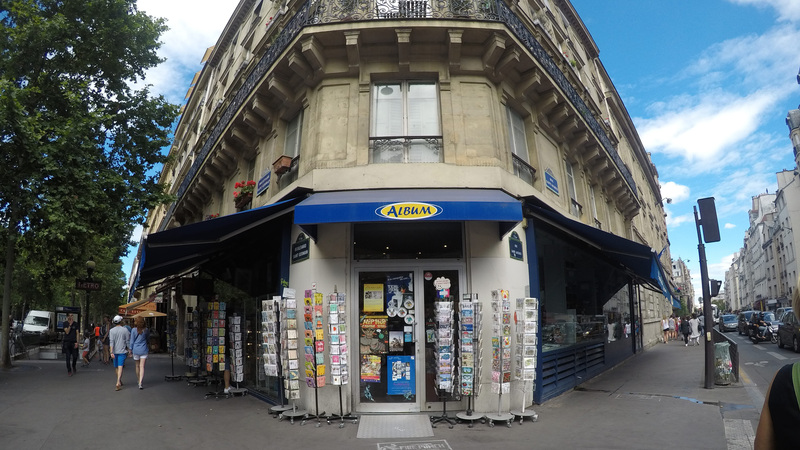 But…the second thing I did was – naturally – to research where all the local comic book shops are located. 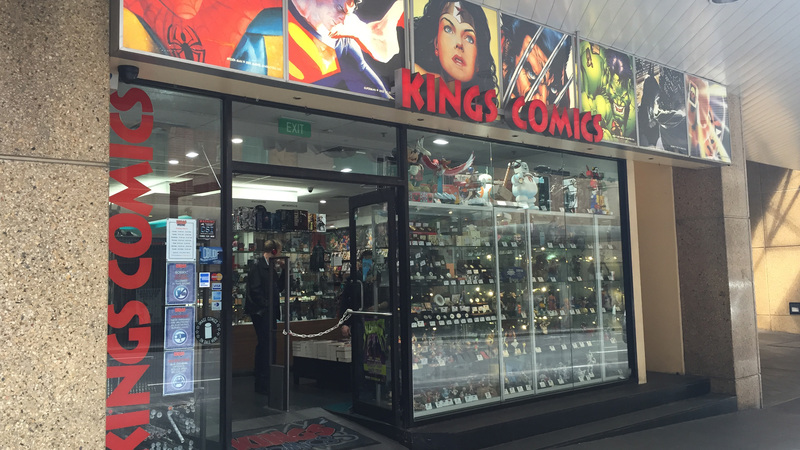 It turned out that I only really needed to visit one place, and all signs pointed me towards:Kings Comics, “Australia’s Award Winning Comic Book Specialty Store”. Lucky for me the comic shop was conveniently located in downtown Sydney, just a few blocks from my hotel, so that I could drop by there at least three times. 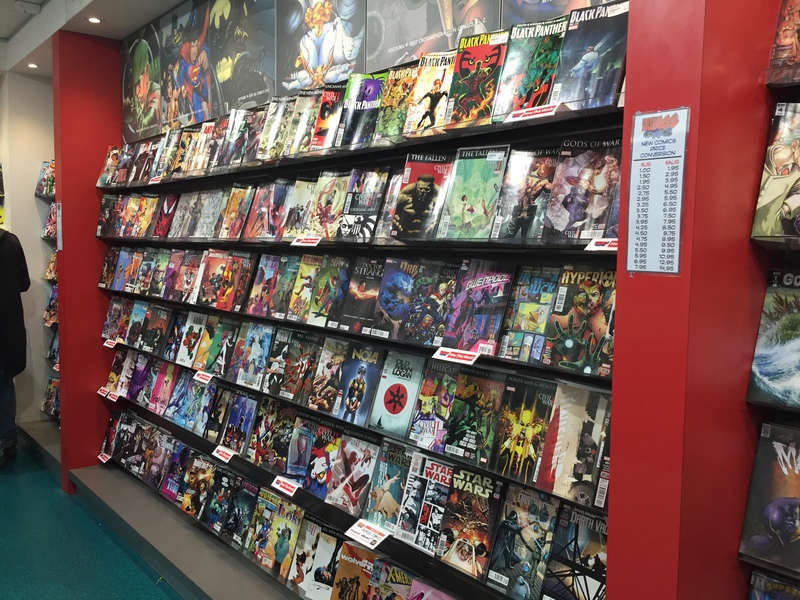 My first visit was on comic book Wednesday, and just like in the States, it’s an action-packed day of new releases. 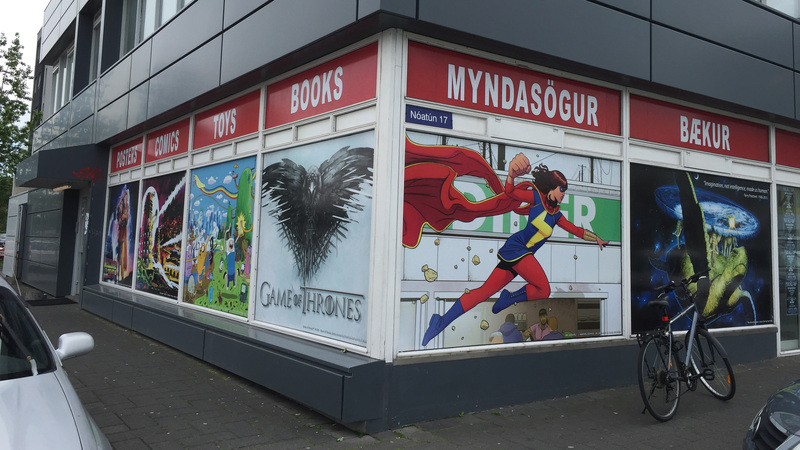 Typically when I visit comic shops in other countries, the new releases are off by a few days (or even weeks), but at Kings it’s definitely not the case here. I thought for sure that I would have to fight my way to a copy of Image Comics’ hottest new title, Seven To Eternity. However, I realized that they were impressively well stocked and organized. Maybe the shelf with the numerous Diamond distributor awards should have been my first clue. 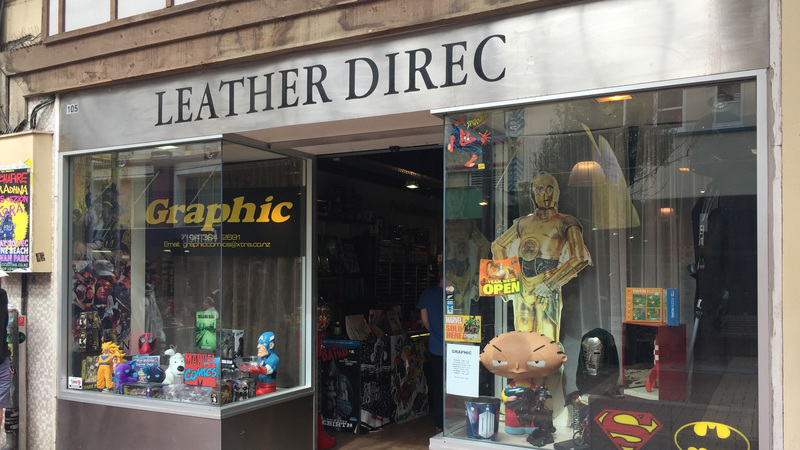 This store isn’t just a contender for best comic shop in Sydney, it’s a worldwide champion and Eisner award winner (1996). 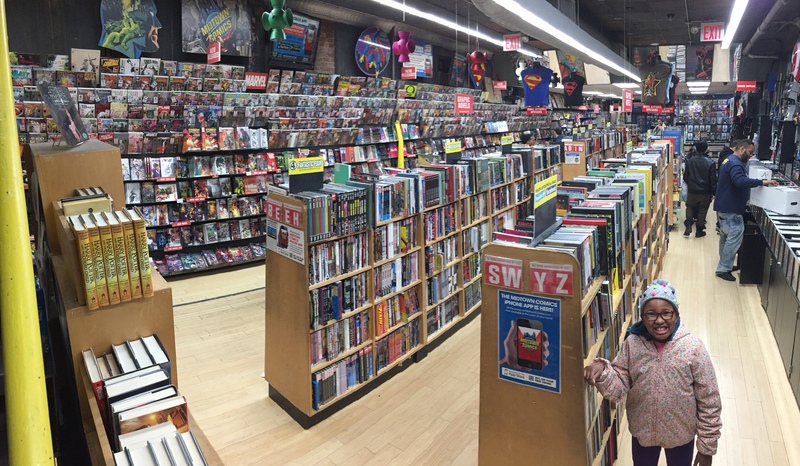 Aside from the massive section of current releases, there’s a ton of collectibles and figurines, along with a well stocked collection of graphic novels and manga. 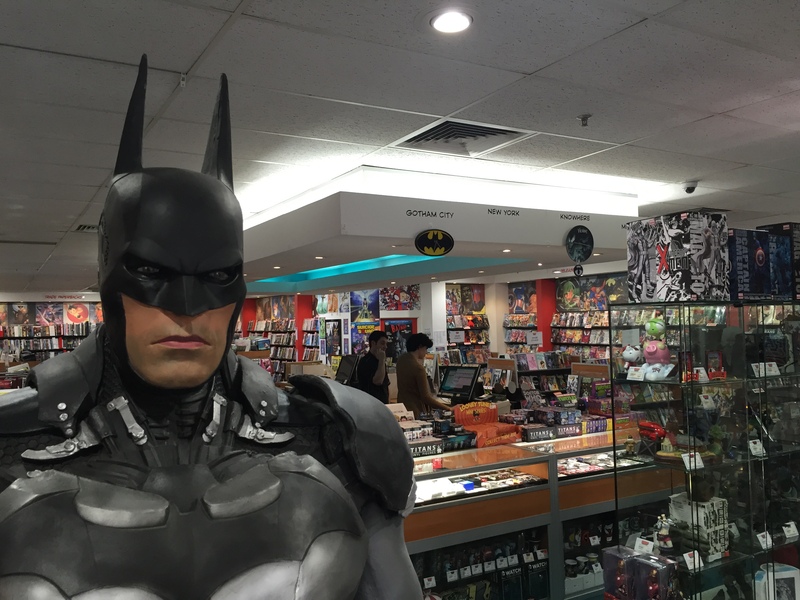 But don’t even think about walking away with any merchandise, as the store is under the watchful protection of Batman.